We’ve discussed the importance of outdoor brands having strong and strategic presence within social media communities. The take-home point is clear: Leverage your brand by personifying the people and affiliated organizations that make your brand possible via social media. But what about turning the tables and letting your loyal customers who also live the brand do some of that personification heavy lifting? The key is to capture your brand in action at the organic level, and leverage the content in a way that their audiences associate the activity with your brand. Just about everyone has a good camera in their pocket that can take high quality social media images. 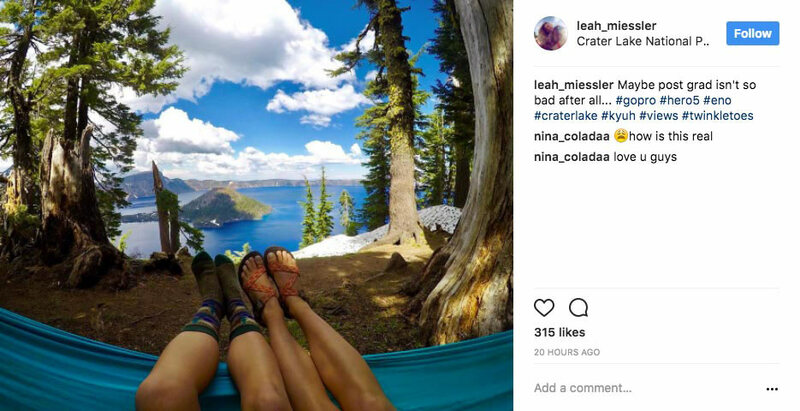 Brand influencers are already using the product and likely already have images of their adventures that also include your product logo. Organic growth with key influencers is boundless. By sponsoring people who are living the lifestyle that your product was designed for, you can increase your reach with the strong network of like-minded followers that has already been organically established. Visual content platforms work best for this type of marketing. As such, the most popular social media platform of choice for influencer marketing across all industries is Instagram. With over 700 million engaged users in 2017, Instagram is the golden standard for visually sharing stories. For brands looking to convey their message visually without worrying about ad blockers or ad fatigue, stepping out of the box at the organic level is worth considering. This year, Instagram hit $1.07B in influencer marketing, with projections to creep towards $2.3B YOY growth by 2019. YouTube is also gaining traction as a medium platform of choice for influencers, especially with outdoor enthusiasts, but not at the same rate or volume of Instagram. A recent Hashoff report cited a mere 2.7 percent of the influencers surveyed were using YouTube consistently for ambassador content. However, they cited a projection of +135 percent in use of YouTube by influencers in 2018 as a top content platform. For example, full-time sailors Riley and Elayna of the popular sailing vlog YouTube channel, Sailing La Vagabonde, were recently afforded an opportunity to upgrade their yacht to a custom 45ft. Outremer catamaran worth over a million dollars. 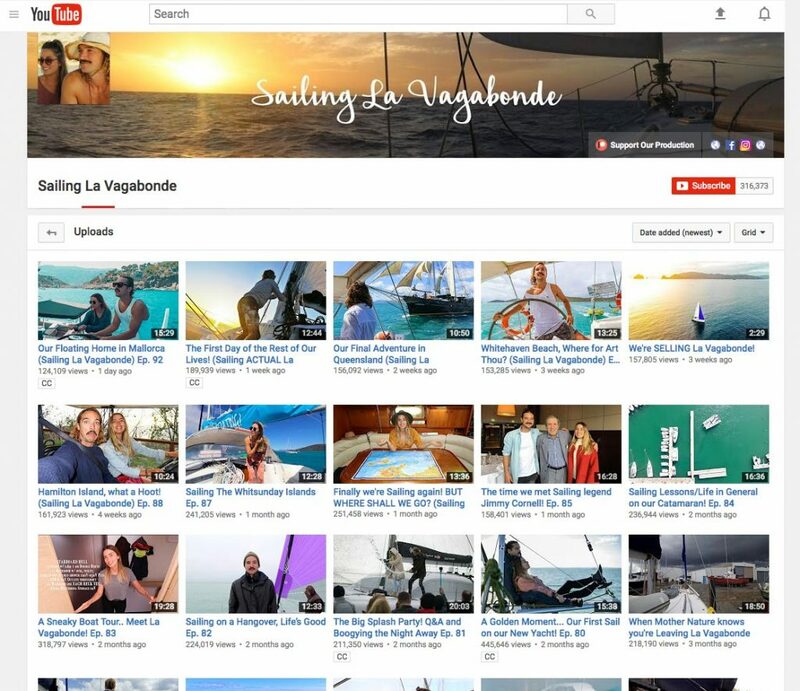 Outremer clearly leveraged their brand by making this deal with Sailing La Vagabonde and reaching their expansive network of followers. While this is a rather dramatic instance, it is a textbook example of influencer marketing and a good testament to the value of brand ambassador relationships for both the influencer and the brand regardless of size, industry or scope. Do your homework, and decide what the value of organic marketing can do for your brand. Is it a matter of getting your product in the hands of key Instagrammers? Send them a free product in exchange for including your branded gear in posts. Are there people already growing your brand in their respective networks that deserve compensation? Pay them. Do you really want to see your product in action at a specific location? Consider sponsoring a trip in exchange for visual content. Once you have a value on what the visual content is worth, seek out people who fit with the brand vision and have a loyal band of followers. This can be accomplished by simply thumbing through Instagram, or even by running a photography contest. Most likely though, you already have a band of influencers that are doing some lifting for you. Tapping into an influencer’s passion is a powerful and authentic way grow your brand.